"Be inspired by the tech world's latest web, mobile and social breakthroughs to create simple, life-improving technologies and viable businesses among a rich and diverse community of cutting edge developers." Every time,it would give technology surprise for the world.You may check here what Google I/O showed last 5 years. As rumors go:The Motorola X Phone will allegedly sport a 4.7-inch display with 1080p resolution and a very thin bezel, packed with all sorts of exciting specs.And Motorola will build the X Phone with over 20 different color options to choose from. That’s a massive number considering.Motorola X Phone is the first device born from Motorola's marriage with Google. Nexus 7 lead the 7 inch tablet trend.And Apple also released its 7 inch tablet-iPad mini.So do many other phone makers.The competition on the tablet market is intense,Apple is on its way to iPad mini 2.Facing those pressure,will the next Nexus 7 show on this Google I/O? 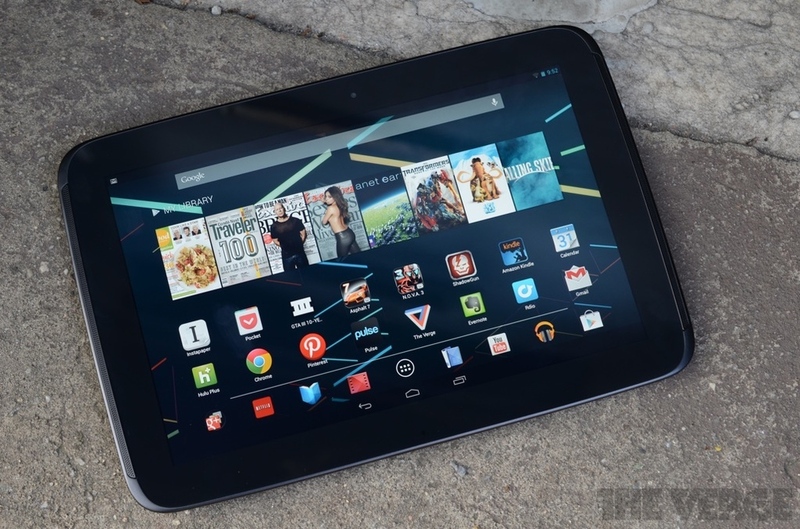 The rumored next Nexus would equipped with 7Qualcomm hardware instead of the Nvidia Tegra 4. It would come with a display that is full HD and it will have a small bezel that will make the tablet compact. Since the current Android 4.2v update is not yet available on many devices yet,Google may not release Android 5.0 Key Lime Pie so fast.And Google also claim that it will slow down the speed for Android OS version development for the Android fragmentation problems.But as Apple's iOS 7,Even Google announced Android 5.0,we can't use it in short time. Since Google Glass was released last year,it surprised many people for its powerful features.It can be only ordered by developers with the price $1500.And in this Feb,Google submit documents about Google Glassto FCC,which means it will soon be on the market.2013 Google I/0 will be a great time to ask for more applications support for Google Glass. As Tech Radar's rumored pictures shows Google Babel combined the hangout,chat features from Google+ and Google Talk,Babel is Google’s new messenger with clients for Android, iOS, Chrome, Google+ and Gmail. Now let's expect it. 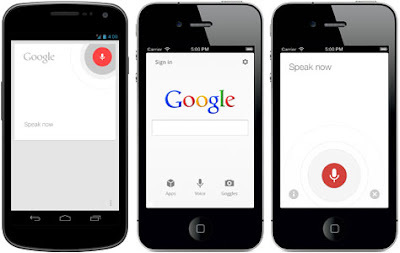 Google Now is a similar application like Siri. 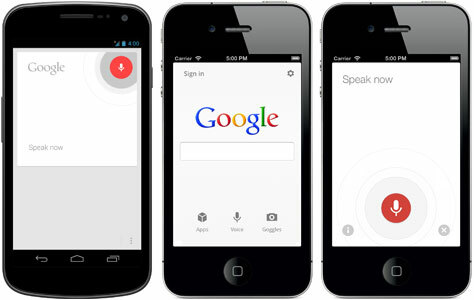 Google Now widget will soon be found with new features in iPhones and iPads after the tech world was teased with a YouTube video on that, which was promptly pulled out. Nexus Q is a proposed home entertainment solution which was released on 2012 Google I/O.It's equall to a mini PC based on Android OS.It shows on Google Play Store but not for sale.We expect more information at this conference. 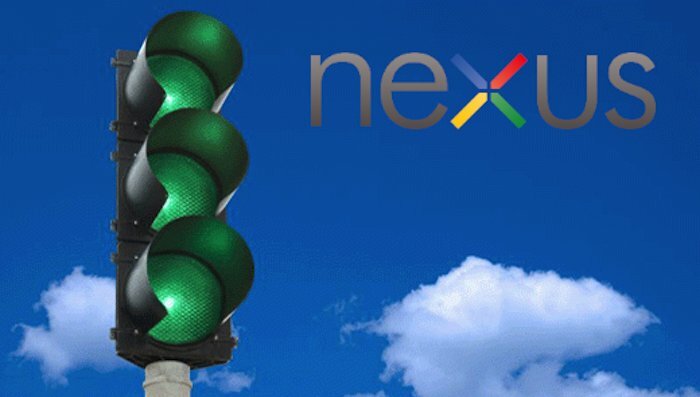 The 4G internet is nearer and nearer to our life.Like iPhone 5,HTC One, Galaxy Note 2, Blackberry Z10, LG Optimus G Pro etc support the LET.But non Nexus device support the next generation mobile communication.Such a feature would make the Nexus 4, which runs on Android 4.2 Jelly Bean. 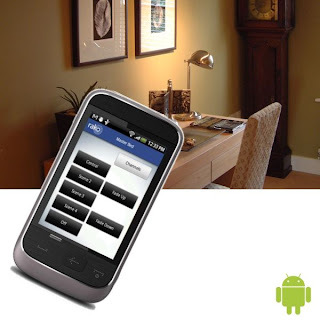 This idea was raised in I/O 2011.It aims to connect all Android devices in Cloud.As for this technology,you can use your Android phone to control lights,wash dishes,floor lamp etc. You must see some people use some big size phone like Samsung Galaxy Note 2.Anyway,I am not used to make call with a big screen phone.Will AT&T and T-Mobile heed the call and allow Nexus 10 device owners to make voice calls on their units.Such an upgrade feature would make the Nexus 10 a stronger competitor of the Apple iPad and Samsung Galaxy Note 10.1. 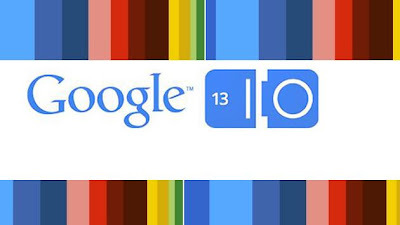 Those 10 points are most rumored about 2013 Google I/O.So which ponit do you think will be the most likly one show at this conference? You are welcome to comment below.